Divorce Question: Where Do I File My Case? In this second of a series of articles reviewing some common divorce questions, we discuss venue and jurisdiction. One of the first issues that must be addressed in any family law problem is where to file the action. Whether the action is a divorce, modification, contempt, adoption, name change, legitimation, or other family law action, the case has to be filed in the appropriate venue. Venue generally refers to the county court that can properly hear the case per Georgia law. A closely related issue to venue is jurisdiction, which involves two prongs: personal jurisdiction and subject matter jurisdiction. Personal jurisdiction refers to the court having the power to hear the case because of the people involved in the case. Subject matter jurisdiction refers to the court having the power to hear the case of what is at issue in the case. Venue, personal jurisdiction, and subject matter jurisdiction are all required for a legal action to properly proceed. Since a Court must have all three to properly hear a case, the appropriate place to file an action can sometimes become very complicated. For instance, a divorce is generally an easy case for determining where to file, as most of the time both parties live in the same state and county. However, if the parties recently moved to Georgia, recently moved out of Georgia, or if one party recently moved to or from Georgia can affect the location for filing determination. Other cases can be even more complicated. If there are children involved in the issue and there is a prior Court Order involving the children, that prior Court may hold continuing jurisdiction over the children for any further actions. However, the parties may not live in that county or state anymore. Then, the issue of whether a new Court can acquire jurisdiction becomes relevant. Or, if the parties have a prior Court Order in one state, for example, Florida, but one party now lives in Georgia and the other lives in Tennessee, which state is the appropriate state to hear the case? These venue and jurisdiction questions can be extremely complicated, and if you file in the wrong place, you can potentially damage your case or have to start over. 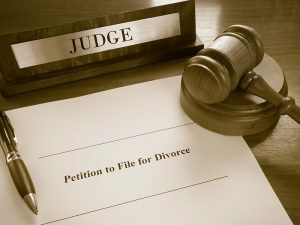 You need an experienced Georgia family law attorney to help you answer these questions so that you can file your action in the appropriate location. Failing to do so can cost you time, money, and hardship that can be easily avoided with a knowledgeable attorney on your side. The attorneys of Spooner & Associates are experienced in assisting clients with venue and jurisdiction issues. Call (678) 231-0607 to start solving your legal problems. Ryan is a "triple Dawg," having earned both her undergraduate degrees and her law degree from the University of Georgia. 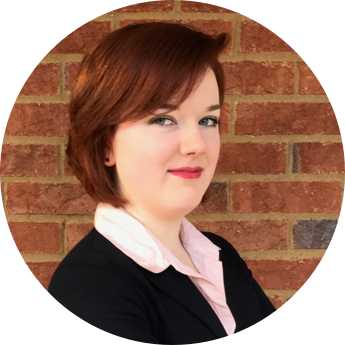 She began her legal career in Atlanta with King and Spalding, working on highly complex discovery issues. A Gwinnett County native, Ryan helps with all matters of family law, including Divorce, Custody, Modification, Contempt, Legitimation, and Adoption. In her free time, she is an avid dancer, specializing in Ballroom and Swing styles.